The Russian military on Wednesday confirmed air strikes were carried out on Syria's last major rebel stronghold Idlib with warplanes targeting the "terrorist" Al-Nusra Front on Tuesday. 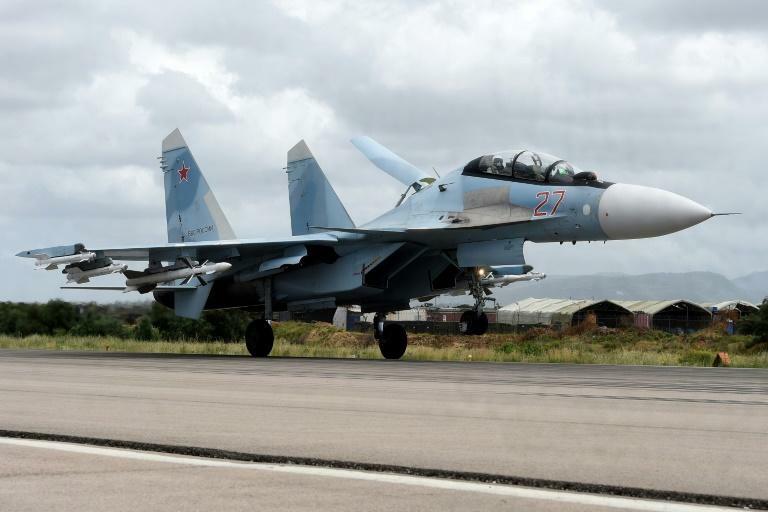 "Four planes of the Russian group at the Khmeimim airbase inflicted strikes by high-precision weapons on objects of the Al-Nusra Front terrorist group in the Idlib province," the Russian military's spokesman Igor Konashenkov said in a statement. He said the strikes were conducted on September 4 "during the dark time of day," without specifying if it was early morning or night time. "The strike was conducted on terrorist stockpiles located outside residential areas, where unmanned aerial vehicles were stored, Konashenkov said. A warehouse which stored portable air-defence systems and drone launch zones for attacks on Russia's Khmeimim airbase and towns in provinces Aleppo and Hama were also targeted, he added. The Britain-based Syrian Observatory for Human Rights said Tuesday that at least nine civilians, including five children from the same family, were killed in the Russian raids, while 10 more people were wounded.